Many of the remarkable accomplishments of our riders would not be possible without our special equine therapists. Yet, most people do not realize that it costs over $3,600 a year for the care and maintenance of each of our program horses, including such essentials as feed, veterinary care, and medical expenses. ⦁ A copy of the horse's nameplate, citing the sponsor, which is placed on the horse's stall. ⦁ Corporate sponsors will receive their logo on our website as well as their name advertised at our events. Horse sponsorships are added to the funds set aside exclusively for the care of our program horses. Full Sponsor: Glenda Lee, M.D. Belle is a retired national champion versatility horse. She still struts her stuff every time she enters the lesson arena! Bunni is the clown of the farm. She is sure to make you smile with some of her quirky ways! Casper is becoming a wonderful lesson horse. He picks up on cues right away and is a great horse for students to learn to canter. After a little TLC when he first cme to the farm, Dallas made a nice transition into a lesson horse. A very playful horse, you can usually find Dallas playing with something in his mouth! Frosty is the newest addition to the farm. She is proving to be a great lesson horse and has settled in to the farm nicely. Hank is totally in LOVE with his gal-pal Shezara. You can always find them together out in their paddock. John was donated to the farm for use in our veterans programs. He is still undergoing training and can hopefully be incorporated into our programming soon. Killian has quickly become the farm favorite. He came to us because his owner was moving. He is visually impaired and likes hanging out with his friend Whistler. Libbie is a sister to Bunni. She is one of the horses that can drive a cart. 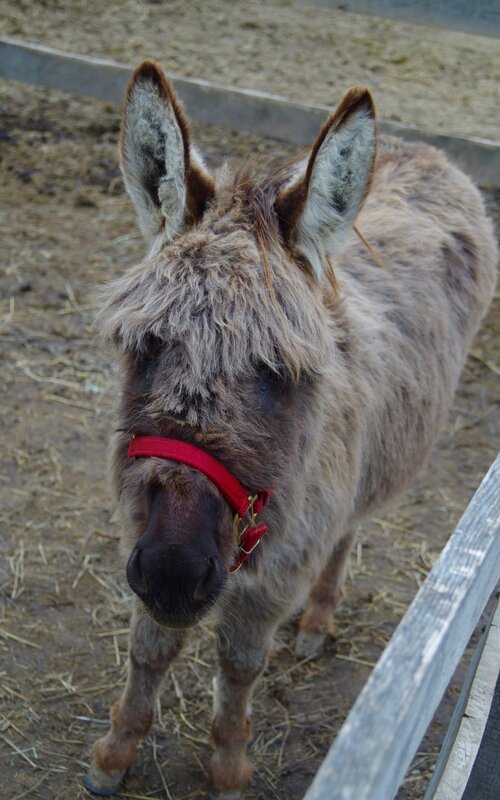 Lola was purchased and donated to the farm for use in our Veterans program and she is also often used for therapy. She suffered a back injury a number of years ago but can once again be used lightly for riding lessons. I need a half sponsor! Max came to us after his owner's death. He has developed a strong friendship with his pal Penny. Milagro and his brother Nevada are the first Peruvian Paso's on the farm. He has a beautiful gait and is used in our riding lesson programs. Nevada was born on December 23rd. The tips of his ears froze off after he was born. His birth was unexpected and he was very cold when his owners found him. Nina is one of our go-to horses for our lesson and therapy programs. She is a very patient and steady horse. Volunteers get their workout when they have to walk with her! An illness when he was young left Pasha unrideable but he is an integral part of our therapy program. In many ways Pasha is the horse that started Stepping Stone Farms. He was the first of many that were offered to the farm so that they didn't meet a tragic end. Penny came to us from a late night text stating that she was scheduled to be put down in the morning. After seeing her and realizing that her laminitis wasn't that bad, she was brought to the farm and is now jumping! 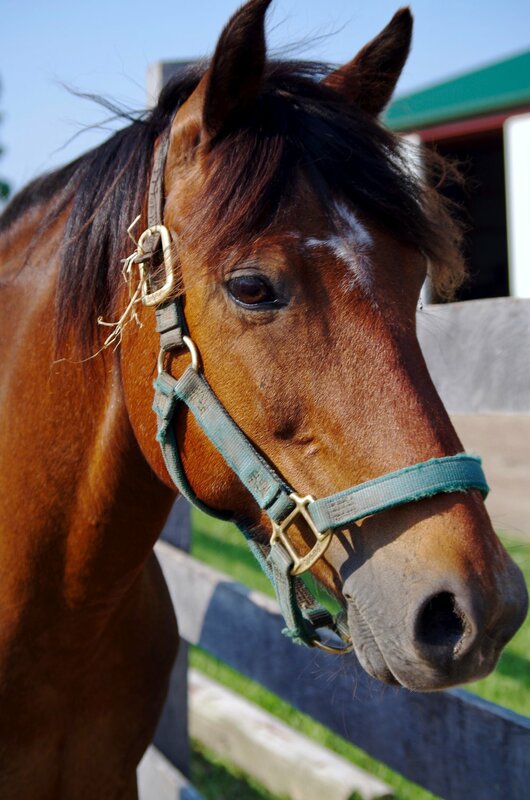 After his owners could not find a buyer for Punkie, Stepping Stone Farms adopted him along with Taffy. He definitely has "little man syndrome" and has become the barn's temperamental artist. We still love him! Rabbit is the farm watchdog braying a greeting when you approach her paddock. She is an excellent addition to our ground therapy program and is a great ambassador in our outreach programs. Ranger came to the farm after one of his elderly owners passed away. Unfortunately his companion horse also passed away. He is getting used to other horses and enjoys his time in the pasture with Pasha and Max. Reggie was donated to the farm by Michelle Burt. His gentle demeanor makes him a perfect first horse for many of our new riders. Scooter got his name because he would "scoot" away from anyone trying to catch him. Donated by Lisa Guido, Scout is used in our adaptive riding program. He is a very solid horse and nothing seems to phase him. With her calm disposition she is used in both our adaptive riding programs and our general lessons. She was once a barrel racer and still has a bit of speed. 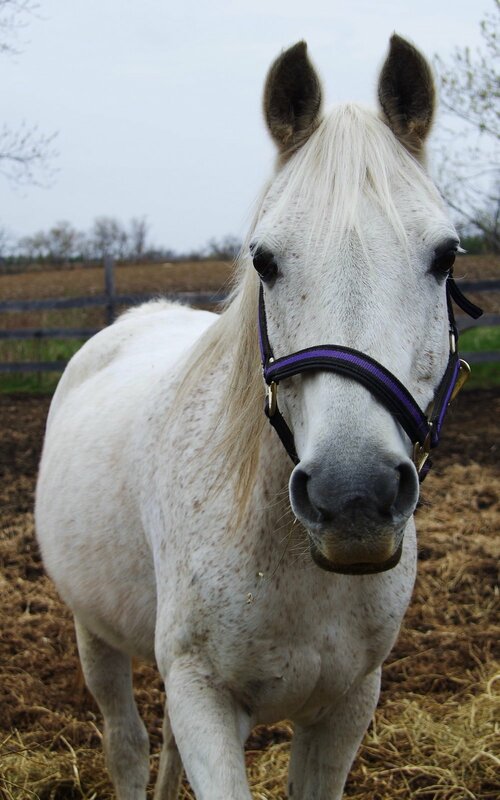 Silver originally came to us as a boarded horse, but was left when his owner could not longer afford his care. He has a large cataract, from an unknown injury, that makes him blind in his right eye. He lives with the other geldings and is very close to his pal, Scooter. After Stepping Stone Farms adopted Punkie, we couldn't leave beautiful Taffy behind. Her favorite thing to do is hang out with Punkie and lick everyone who will give her a chance! She is a perfectly proportioned "little horse! She is used for many outreach programs. With her refined head and friendly demeanor, she quickly fit in with the rest of the Arabians. Donated by Karen & Lyle Stoner. Whistler is the "old man" of the farm. We rescued him after his owner decided he wasn't going to buy anymore food for him. He is thriving and happily lives with his buddy Killian.